Access to the full weekend of Neighbourhood Weekender on Saturday 25th May & Sunday 26th May 2019. Access to Neighbourhood Weekender on Saturday 25th May 2019. Access to Neighbourhood Weekender on Sunday 26th May 2019. 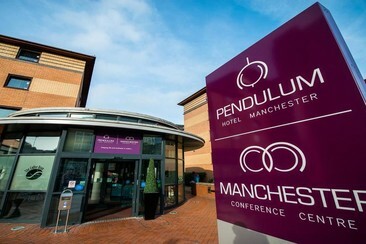 Pendulum Hotel is located near Manchester Piccadilly Station, Canal Street and China Town. 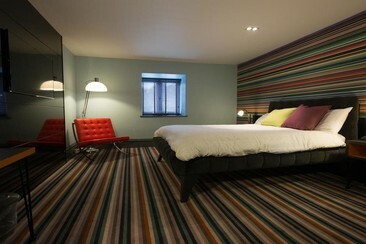 The Hotel is 10 minutes walk from the city centre and popular nightlife. Manchester Academy is 500 m away and The Trafford Centre is a 15-minute drive. Manchester Arena is a 25-minute walk from the hotel, while Etihad Stadium, Old Trafford and Old Trafford Cricket Ground are all within a 30-minute drive. With Manchester Conference Centre located on the lower floor, the hotel offers a range of business facilities including 18 meeting rooms. Pendulum Hotel has 117 guest rooms which an ideal place to relax after a day sightseeing. Room amenities include tea/coffee making, flat-screen TV, work desk, private bathroom with power shower and free Wi-Fi access. Off M6 motorway, this modern suburban hotel is 2.1 miles from Birchwood railway station, 5 miles from Gulliver's World Theme Park and 10 miles from indoor skiing at Chill Factore. 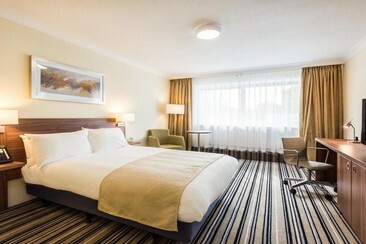 The casual rooms and suites feature free Wi-Fi and satellite TV, as well as desks and tea and coffee making facilities. Room service is available 24/7 and kids stay free with an adult. Freebies include parking and meals for kids 12 and under. There's a casual restaurant and a cocktail lounge, plus a business centre and meeting space. Village Hotel Warrington is located right in the middle of Warrington and a short walk from Warrington Bank Quay train station. The M6, M62, and M56 are also within easy reach. The hotel lies four miles from Gulliver's World Theme Park and eight miles from Runcorn’s Brindley Theatre. Guests are also ideally situated to visit nearby cities such as Liverpool, Manchester and Chester. Rooms feature en-suite bathrooms. Other amenities include flat-screen TVs with satellite channels, iPod docking stations and hospitality trays. Upgraded rooms feature expanded TV channels, coffee machines and free access to Health & Fitness. A return coach from Birkenhead, operated by Big Green Coach. A return coach from Bradford, operated by Big Green Coach. A return coach from Chester, operated by Big Green Coach. A return coach from Crewe, operated by Big Green Coach. A return coach from Huddersfield, operated by Big Green Coach. A return coach from Lancaster, operated by Big Green Coach. A return coach from Leeds, operated by Big Green Coach. A return coach from Preston, operated by Big Green Coach. A return coach from Stockport, operated by Big Green Coach. A return coach from Stoke on Trent, operated by Big Green Coach. A return coach from Wigan, operated by Big Green Coach. 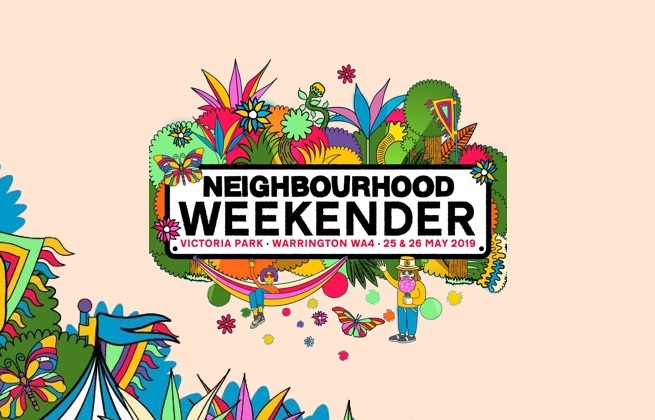 Neighbourhood Weekender returns to Warrington's Victoria Park this upcoming May bank holiday for another weekend of riff-tastic indie music. Topping the bill for 2019 will be George Ezra and Richard Ashcroft, who will be joined by the likes of Primal Scream, The Vaccines, You Me At Six, Slaves, Nothing But Thieves and The Charlatans across the weekend. Saturday night headliner George Ezra has become of the biggest selling male artists of the decade. His debut album Wanted On Voyage spent 122 weeks in the chart, while his latest number one album Staying At Tamara’s is one of the best-selling records of the year so far. Richard Ashcroft, who tops the bill on Sunday, released his fifth solo studio album Natural Rebel last month to huge acclaim. The album represents the latest chapter in a hugely successful solo career for the former Verve frontman, Ivor Novello award winning and Grammy nominated artist. Neighbourhood Weekender will take inside Warrington's Victoria Park.